Beautifully located on the majestic Bay Of Jounieh on the sea coast of the Mediterranean. This is the city of ancient civilizations and a modern business center for the today visionary entrepreneur. Come and experience the excitement, you will delighted to visit Jounieh the hub of cultures and civilization. The Casino Du Libanis 2 km away, Beirut Airport is 20 Km, the Cedars of Lebanon at 100km, Byblos at 10 km, Jeita Grotto at 8 km, Harissa at 7 km and Tripoli at 50km. 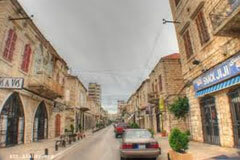 Jounieh, only 15 km north of Beirut the Capital of Lebanon, lies the port town of Jounieh, in the Keserwan region, this city still retains some of the charm of yesterday in the old stone souk area near ferry terminal. The area-known as "Old Jounieh"- has recently undergone an overhaul and there are outdoor cafes and restaurants mixed among boutiques, artisan shops, banks, supermarkets, hotels of all categories. But as soon as the sun sets, the daytime charm turns into night-time glitz. Jounieh can satisfy your palette and sense of adventure. The area is crowded with fun seekers every night of the week and packed on weekends. The jewel of the area is perched atop a cliff overlooking the bay: the Casino Du Liban. The famed Casino, once on the itinerary of the international jet-set in the 60's and 70's reopened last year after a complete post-war rehabilitation. 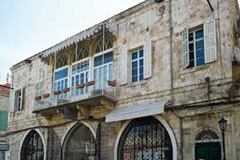 There are lots of great places in Jounieh where on can go for a great time. Spend any night at Jounieh and leave relaxed with a smile on your face. 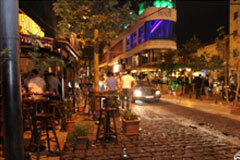 It is a hip, happening, gorgeous and fun nightlife district that we simply can’t forget about. The Jounieh Pub District never disappoints! 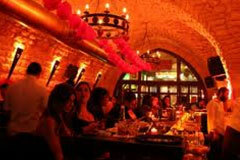 Party people who love the beautiful old souk and tourists from all around the world.Jounieh is perfect for a pub-crawl. There is no need to stay in one place as the area boasts many pubs and hotspots full of welcoming friendly faces that are ready to mingle. Jounieh embodies a sense of camaraderie, which will put anyone in a great mood. 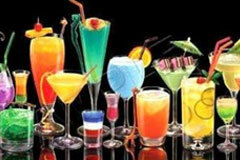 The longest bar event is organised by a committee of pubs in Jounieh along with the JouniehMunicipality . More 25 pubs came together in one long bar to break the Guinness World Record of the World’s Longest Bar.